Available now for advance purchase at Amazon, Barnes & Noble, Walmart, and other retailers. 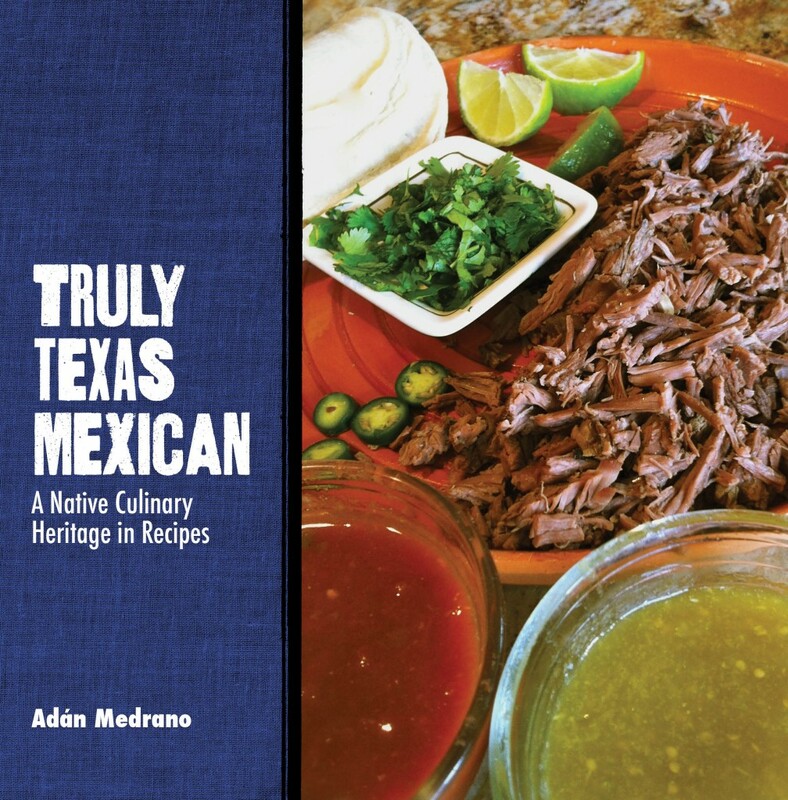 Truly Texas Mexican: A Native Culinary Heritage In Recipes is the culinary story of the Texas Indians, Native Americans who are the ancestors of today’s Mexican American people of Texas. Beginning in 900 AD, the point at which anthropologists identify distinct native communities and cultures in Texas, I describe the hundreds of indigenous tribes and their cuisine: how they gathered and hunted food, planted gardens and cooked. By detailing their culinary techniques developed over centuries–roasting, boiling, steaming, salting, drying, grinding, blending– I show the progression of foodways from one generation to the next. Blending foreign with native ingredients and using tested techniques, they created the delicious flavor profile of Indigenous Texas Mexican cooking today. I should mention that my book is not about what is termed Tex-Mex food. In Truly Texas Mexican I explain the differences between so-called Tex-Mex and the flavor profile of our indigenous Texas Mexican food. This unique flavor profile is laid out extensively in 100 recipes, each kitchen-tested and with step-by-step instructions. Illustrated with full color photographs, the recipes shed a new culinary perspective on well-known dishes, like enchiladas and tamales by explaining the complexities of aromatic chiles and variously textured corn flours. The recipes show how to develop flavor through technique as much as through ingredients. The secrets of lesser known culinary delights are freely shared, such as the recipe for Turcos, sweet aromatic pork pastries, and Posole, giant white corn treated with calcium hydroxide. I learned these recipes from my amá (mother) and family since childhood. Later, as I worked professionally, graduated from the Culinary Institute of America and reconnected with home cooks, I came to realize that cooking is a powerful cultural practice integral to the history of Texas Indians, Native Americans, Mexican Americans, Chicano people of today. In sharing personal anecdotes, I hope to illuminate the role this cuisine plays in identity and community. I also want to share with the wider cooking community: delicous recipes, steeped in tradition, cooked for today’s lifestyle. Thanks! We will be planning readings and cooking demonstrations in both Minneapolis and Austin. Loving the title — and can’t wait for the book!